To claim this profile, please confirm you are Kelvin Davis II. To follow this profile, please let us know your relationship to Kelvin Davis II. Kelvin has been added to the White baseball roster. Kelvin was tagged in the video "Kelvin Davis ii's highlights Middleburg High School." Kelvin was tagged in the video "Kelvin Davis ii's highlights Englewood High School." 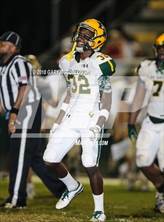 Kelvin was tagged in the video "Kelvin Davis ii's highlights Nease High School." Kelvin had 1 photo tagged from the photo gallery "White @ Nease." Kelvin was tagged in the video "Kelvin Davis ii's highlights Raines High School." Kelvin was tagged in the video "Kelvin Davis ii's highlights Ribault High School." Kelvin has been added to the White football roster. Kelvin was tagged in the video "Kelvin Davis's highlights Baldwin High School." Kelvin has been added to the Westside football roster.